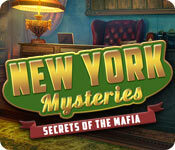 New York Mysteries: Secrets of the Mafia is rated 4.4 out of 5 by 41. Rated 5 out of 5 by SparkleGlow100 from GREAT GAME! After playing a series of more sedate, relaxing games, this one came as total refreshment! A truly gripping, thrilling game, moves quickly, with fantastic graphics on a computer that doesn’t have HD. Loved every moment. A detailed game that is wonderfully SPACIOUS to look at: the museum, the lift shaft, the huge tunnels. No-one could have invented all this; a lot of work must have gone into this to take photos of what these places looked like. Starting at downtown museum, tunnels then take you to a bridge, snowy wonderland land hut, downtown research in a town house, and finally a subway station under construction. You should know that you don’t see anything bad happening to the children, as in being hurt or threatened, or anything like that. You just see them disappear into thin air and a butterfly and green swampy stuff appear. GRAPHICS: Metal looks like metal! THOSE types of graphics! Combination of real and non-real. Screen resolution options. Widescreen, full screen or windowed. HOPS: Plenty, interactive. Not piles or random collections of objects. Instead you get objects related to where you are at, eg items on a table, items in the boat etc. 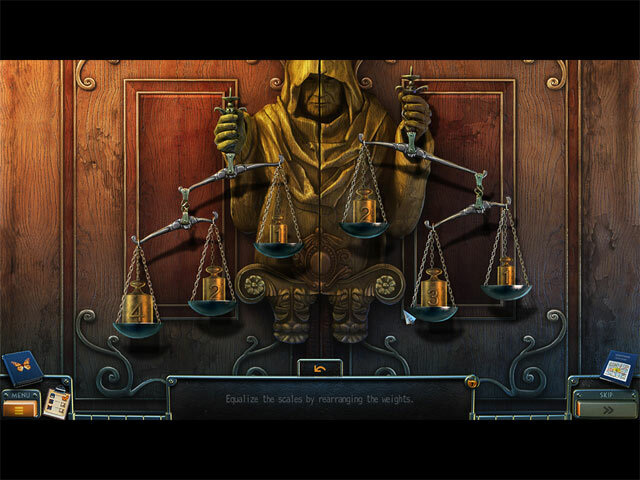 PUZZLES: Lots of puzzles, and of varying difficulties, all are skippable. SOUNDS= THOROUGH. 3 sounds, music having a separate one. The music was so fitting and for a long time I did not need to lower the volume. HINT: Will lead you and show you what to do DIFFICULTY LEVELS: Easy, medium, hard. Easy is more like the customizable options for gameplay of today. You can’t adjust or change level once you have selected and started the game, without starting the game from scratch. MAP: Travel map with indicators INVENTORY: Lockable JOURNAL: Holds some notes that you will need to refer to. CHARACTERS: Lucas Bishop is done really well. He has called you in to investigate and you will meet him several times to discuss your ongoing investigation. Rated 5 out of 5 by MisterBear from Finally a HOG with items that make sense My usual complaint with HOGs is that you are required to search for nonsense items. Not this game. The HOS have you looking for items that fit perfectly into the story. The game is LONG and the puzzles are different. The graphics are great. The story is engaging. This appears to be the first in the NY Mysteries series. Can't wait to get the others! Rated 5 out of 5 by denniann2 from fighting the mafioso you are a journalist that is called in to help figure out what has happened to a bunch of children. as the members of the mafioso are disappearing a child is taken and a butterfly is left where the child was. the mafioso are melted into a green fluid when they disappear and there is a butterfly where they were. has to be a connection. mini games cold be hard. the HO scenes were a lot of matching silhouettes and using the found items to find other items. there is not custom level but there is an interactive map and i good hint system. sequel..i figure. 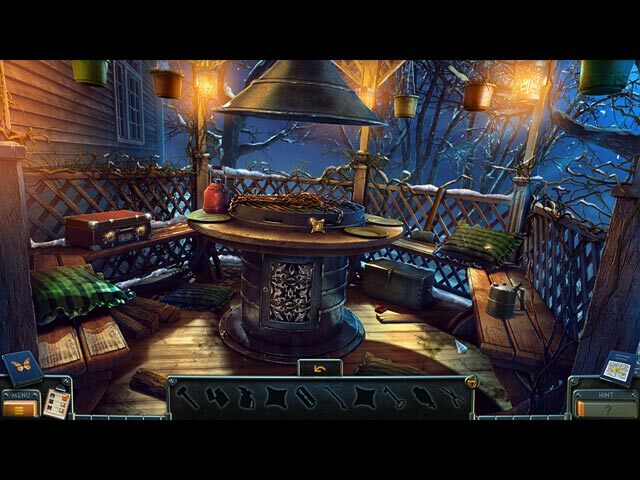 Rated 5 out of 5 by smilingsun72 from Challenging puzzle and good mystery...like made a couple of years back. I love this game it has a great story. The HOS scenes made me work to find the objects, not the everyday seek and find. The story kept my interest from beginning to end. From mafia members vanishing to children being kidnapped. A member of the Stone Order coming out of a ten year coma to one of it's members being murdered. An investigative journalist to solve the mystery and find the children. I can say I wish more of the newer games was like this one because it gives me a good challenge...even in the easy setting. Rated 5 out of 5 by cejene from WOW! Love it. This game has it all. I am so impressed. Great story. Great graphics. I couldn't stop playing it. I’m not going to yak yak. Just try it. I rate it a 6. Rated 5 out of 5 by braillecode4 from New York Mysteries: Secrets of the Mafia I had the privilege of previewing the next New York Mysteries: High Voltage. After the preview I will definitely buy this game when it comes out. One scene had me jump right out of my chair. So.... I hadn't played the "Secrets of the Mafia" so I bought it immediately. I just finished and it is an outstanding game. It was like being in a movie and participating in the hunt for the bad guys. No junk piles here but you have to look for the objects and then interact with it. I found the puzzles to be challenging and even had to skip a few. 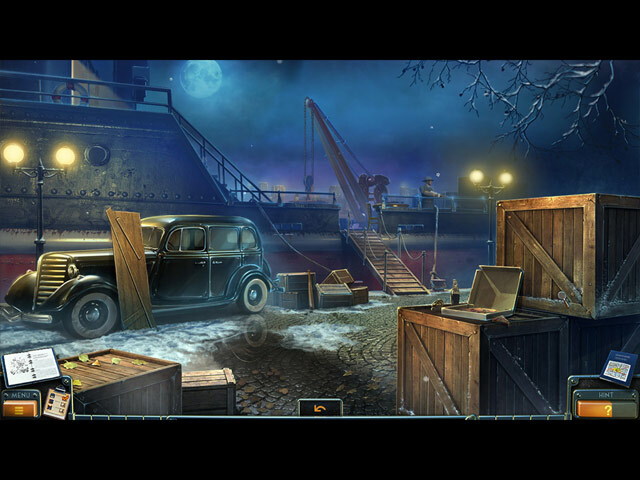 Rated 5 out of 5 by timofey from good game this game one of my favourite!! Rated 5 out of 5 by Kimmycoo from A MUST for any HOG lover! I bought the collectors edition, but am doing a review here too. This game is a 5 star game on all levels. The music was awesome, the scenery breathtaking, the graphics stunning, the voice overs excellent, the HOG scenes unique and every one of the different, never the same twice. Every single location was just great. You get a map too that you can teleport to where you would like to go. The Collectors edition is DEFF worth it. I loved the story line with this, I loved the bonus game too. I loved that we got to go to NYC here and the time frame being back in the 20s or 30s. You can not get any better than this game in the HOG genre right now. This is my fav game of the year! Rated 5 out of 5 by locojet from great game this was such a fun game full of puzzles and even the hog were more like puzzles than hog which is great cuz i do not like hogs.. wish they had other games by 5bn games hopeully they will do more..